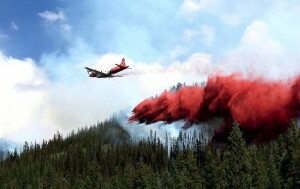 Environment Memo | Environmental News and Analysis Environment Memo » What’s in Those Fire Retardants Dropped from Planes? What’s in Those Fire Retardants Dropped from Planes? What's in That Red Stuff?